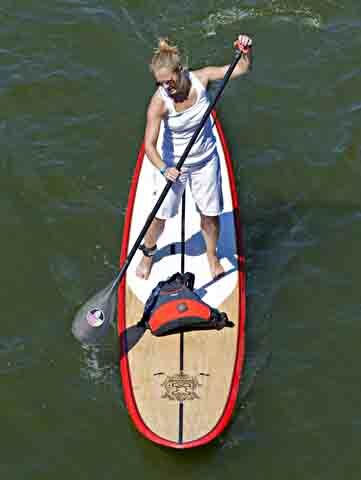 Why use SUP PFDs for paddle boarding? 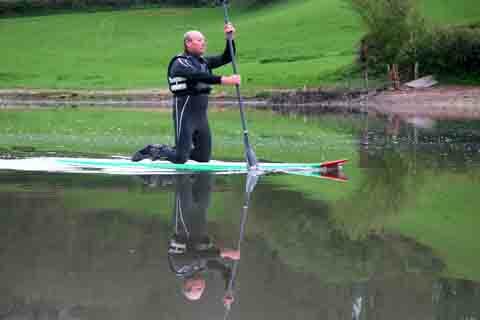 SUP PFDs is the safe way to go, but regulations vary. In the U.S, unless you are in the surf zone you must wear a PFD on lakes, bays and rivers. Because of the surfing influence we still see many SUPers not wearing them; old habits die hard. In fact, there is resistance from some SUPers who hold that it should be a personal decision. 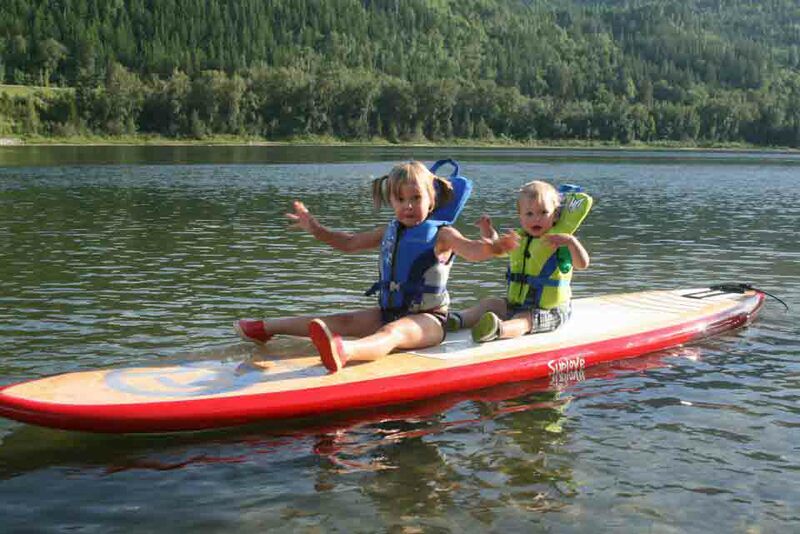 When it comes to children, DON'T THINK TWICE: make sure they wear a PFD. Why are some people not wearing PFDs? It comes down to effort, comfort and cost. Let's explore the various types and styles available. It is always the safer choice to wear a SUP PFD. The task is to match PFD to SUP activity. The more strap adjustments incorporated, the more custom the fit. The traditional style isn't popular among SUPers since they can restrict movement. But there are other options, and for a rider in an area with more degree of danger—on a "downwinder”, a rocky river ride , or a challenging river race—for a smart choice consider type III, streamlined, low profile, lightweight SUP pfds. The following video shows what happened after deploying a 5-year old C02 cartridge from a Mustang waist pfd. I didn't expect such great results from a 5-year old C02 cartridge! This is a great review for Mustang although I still do warn that it is recommend to change the C02 cartridge every three years for peace of mind and safety on the water. These vests have 8 point adjustment, no bulk at the sides and high floatation backs. The women's vest is sculpted at the chest to accommodate curve. Many SUPers enjoy this ultra-light, wear-at-the-waist style designed with stand up paddle boarders in mind. Inside the pack is a folded, un-inflated, around-the- neck PFD. When needed, there’s a pull cord attached to a single-use Co2 cylinder connected to the PFD, which is itself is tethered to the bag so you can't lose it in the water. If the device fails there is a back-up "blow-up-yourself" tube. Many of these fanny packs include a whistle and other emergency features. The same concept as the fanny pack style, this style is worn over your neck, lies fairly flat on your chest, and secures around the waist and back. It inflates with a pull cord connected to a Co2 cylinder that is replaced with each use. Some have the option to automatically inflate when the person wearing it hits the water. Online reviews report this style as comfortable while paddling. REI video on over the neck PFD. NOTE: There is controversy over how safe an inflatable PFD is in cases where a SUPer may not have a chance to enable inflation, or the PFD itself could be compromised. For example, it would not be wise to wear a fanny pack inflatable PFD while surfing on a rocky river. In this case, a proper vest/jacket and helmet are in order or a "quick release" style of leash. DESCRIPTION: Transport Canada on life jackets and PFDs. DESCRIPTION: The consequences of not wearing a PFD for paddle boarding. Don't think twice. toddlers must wear a pfd. For Canada and the U.S. SUPers are only required to have a PFD with them. Paddlers are not required to wear them.